If you’re feeling kind, you could look at the choppy, episodic structure of Showtime’s “I’m Dying Up Here” and equate it to spending a night in a comedy club. No one expects continuity or tonal consistency from stand-up to stand-up, and the show does seem at times to be purposefully replicating this structure, allowing a character or two to come into the spotlight and then fade away for a different face to get some time on the stage. However, a TV drama is not the same thing as a night in a comedy club, and “I’m Dying Up Here” joins recent misfires like “Vinyl” and “Roadies” as well-cast and high-pedigree shows that took themselves so seriously they never found a personality. 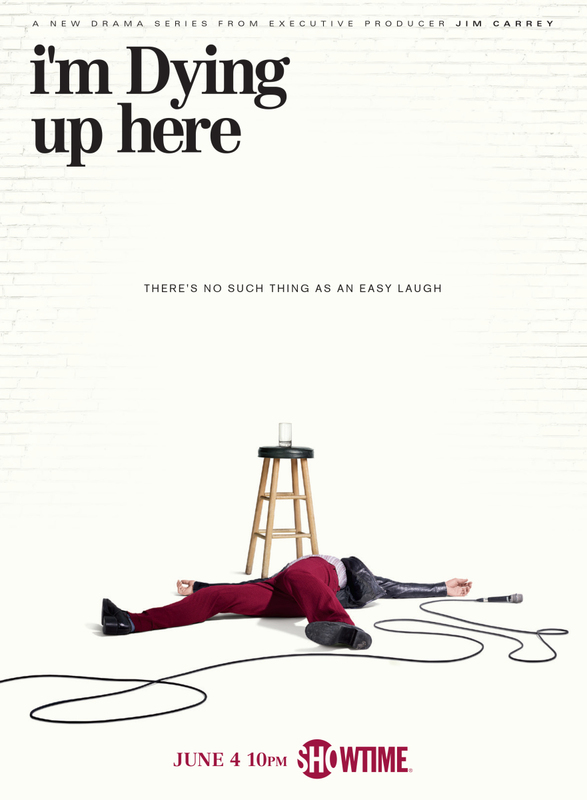 “I’m Dying Up Here” takes as its mantra the famous Edmund Kean quote: “Dying is easy; comedy is hard.” The writers of this look at the ‘70s comedy scene in Los Angeles place the struggle of the comedian artist on a pedestal that pushes through admiration to pretension. These are people who self-describe as “narcissistic douchebags,” and the show starts to take on the same tone. In the premiere, Oscar-winner Melissa Leo’s Goldie compares her club to a church and actually tells a story to a rising comic about the Holocaust to make a point. This is a show that takes itself very seriously, which is surprising given it’s also a show about the art of comedy. Goldie is the sun in a solar system of supporting characters who all fight for stage time at her legendary L.A. club. She rules with an iron fist, as aggressive in the way she badgers her contact at “The Tonight Show” to get her talent on Carson’s couch as she is in how she punishes her comedians if they dare to take stage time anywhere else. She is ruthless, protective, and a caricature, the kind of role that plays into Leo’s worst over-acting tendencies. The supporting cast makes out better, and it’s as they coalesce over subsequent episodes that the show finds moments that work. Clark Duke and Michael Angarano are funny as a pair of Bostonians who come to L.A. with so little in their pockets that they have to go on “Let’s Make a Deal” to try and win enough that they’ll be able to eat. RJ Cyler (“Me & Earl & the Dying Girl”) becomes one of the more welcome faces in the cast, especially as the writers allow him to start to play with the undercurrents of racism in the comedy. Al Madrigal, Erik Griffin, Jon Daly—there are funny people floating around “I’m Dying Up Here,” but it’s surprising how rarely they’re allowed to actually be funny off-stage. If there’s a lead in “I’m Dying Up Here” other than Leo it’s Ari Graynor’s Cassie Feder, a young woman who learns to use her tragedy—including one we see take place in the opening hour—as fuel for her comedy. At first, she’s stuck in the “Cellar” (the minor leagues for the main stage at Goldie’s) but when she starts to lean into her gender and background, she finds her voice. That’s the story of “I’m Dying Up Here” that I find interesting—the idea that comedians have to let down their guards and reveal themselves to be funny—but the show can’t commit to a throughline. It’s sporadically entertaining and interesting, but cut up by wild tonal shifts, bad editing, and some worse writing. It doesn’t help that the whole thing looks like a bad comedy sketch, complete with gauzy lensing and exaggerated costumes designed to scream ‘70s. Too little of it feels lived-in or genuine. And that’s a fatal flaw that extends to the overwritten scripts as well. For a show about being authentic, “I’m Dying Up Here” too often comes off as remarkably fake.